Identification: Tip of forewing rounded. Upperside bright orange; black markings large on basal half of wing, small on outer half. 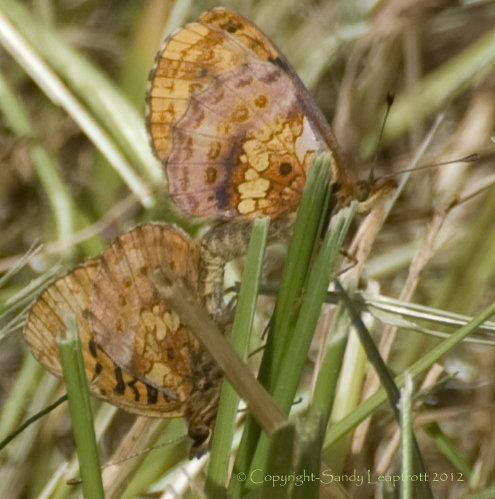 Underside orange with purple-brown markings; hindwing with postmedian row of dark circles. Life History: Males patrol for females all day in woods and meadows. Overwintering is by fourth-stage caterpillars. Caterpillar Hosts: Violets including Viola ocellata, V. sempervirens, and V. glabella. 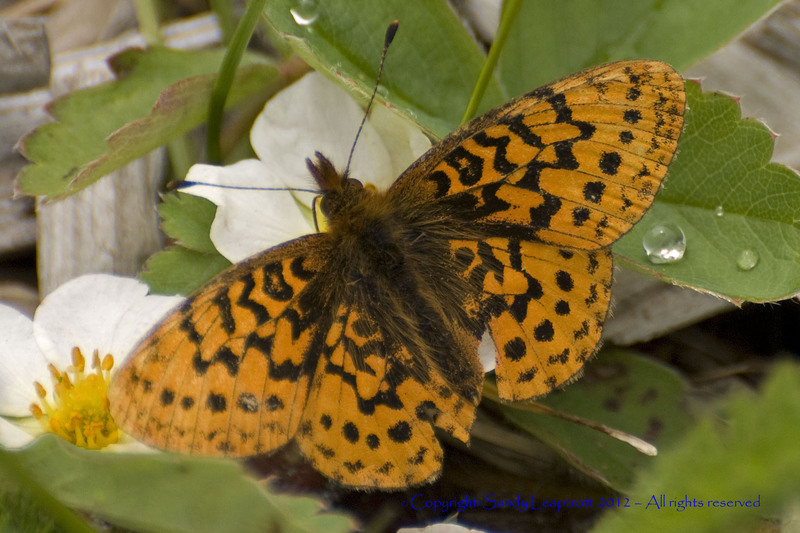 Habitat: Openings in moist forests, wet meadows, streamsides. Range: Central British Columbia east and south to Alberta and Montana, south along Pacific Coast to central California. Conservation: Populations in California's Santa Cruz Mountains are limited and may be in jeopardy. Management Needs: Inventory and monitor limited populations and propose any necessary conservation actions.